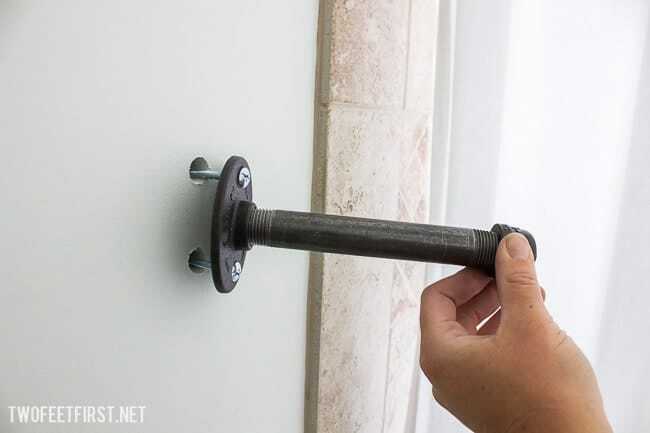 With a couple of projects lately, I have realized that sometimes you need to attach something to a wall but you cannot find a stud to hold it into place. What do you do? Give up on the whole project? No, you don’t because you can use something called Toggle Bolts. We discovered these when we were installing an industrial shelf in our bathroom. 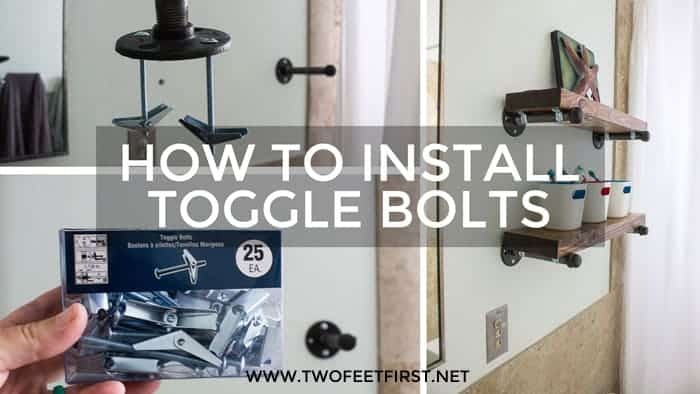 And I thought it would be useful to share how to install toggle bolts because I had no idea. I have also included a video, so go ahead and watch that if you want to see how to do it first hand. First you will want to mark where you wan the item you are attaching to the wall. 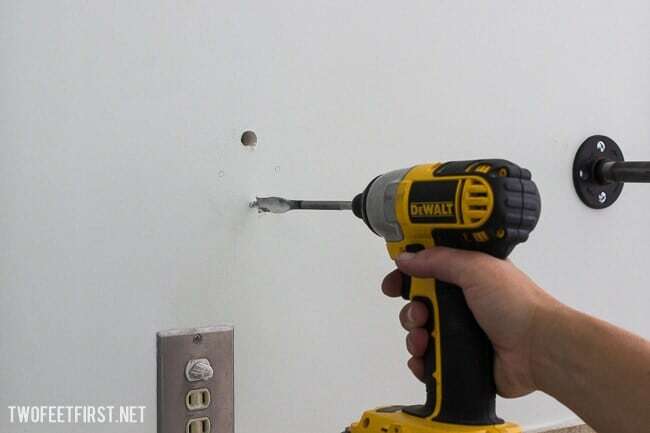 Then take the 1/8″ drill bit and drill a hole onto that marked spot. 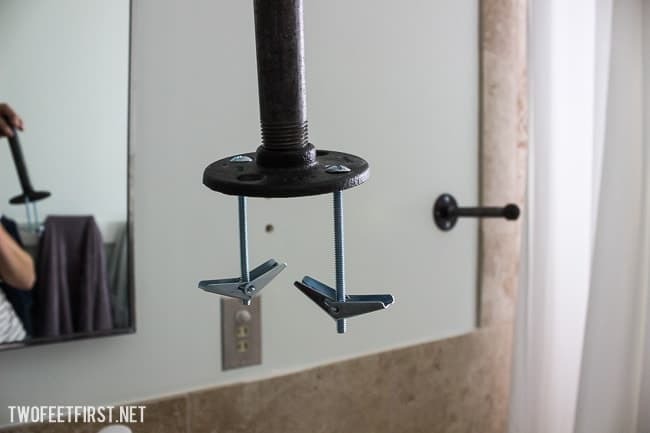 I do this to make sure there is no stud because if there is you do not need a toggle bolt. 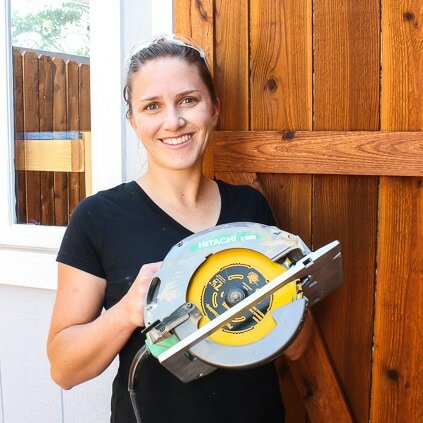 Then with the 9/16″ drill bit, drill a bigger hole onto the same marked spot. Next insert (attach) the toggle bolt to the item you will be using. Making sure the sprint is going the right way, fold toward the item. Then press the spring down and insert the bolt into the drilled hole. Using the screwdriver, tighten the bolt by slightly pulling the item toward you. And that’s how easy it is to install a toggle bolt. Plus here is the video! What do you think? 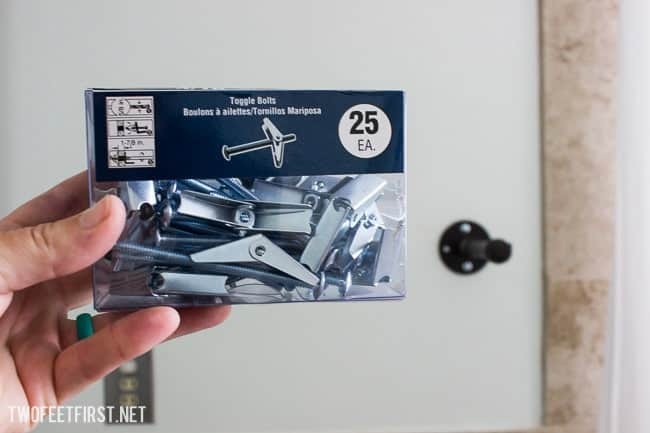 Do you have the prefect project to use toggle bolts?